We got back from New Zealand on March 9th. 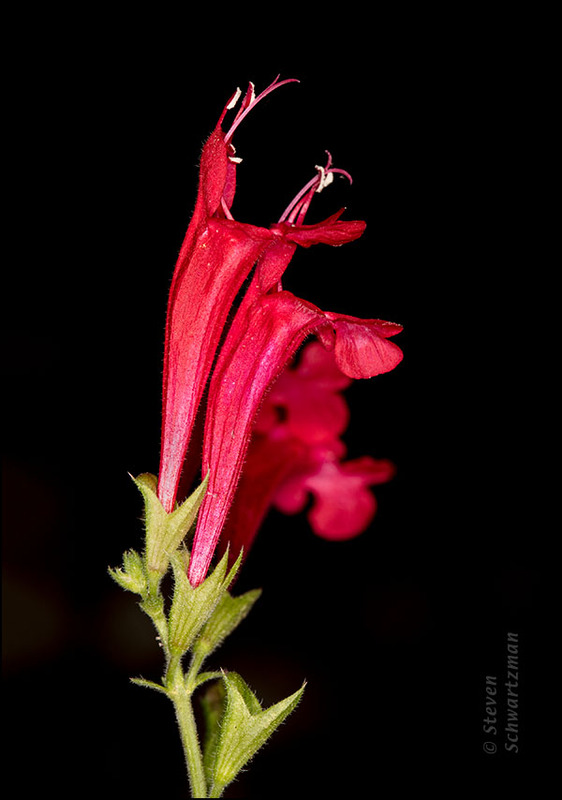 In driving around my Austin neighborhood in the days after that, I didn’t see any cedar sage (Salvia roemeriana) flowering in the accustomed place along Morado Circle so I thought I might have missed this year’s flowers while I was away. Toward the end of the month I finally saw one, and on April 1st I photographed a few beneath some “cedar” (Ashe juniper) trees on Floral Park Dr., as you see above. I found even more in another place a week later, and still more in Great Hills Park on April 15th. Thanks, Jude. You’re right about that red. I just saw it on the computer monitor from two rooms away and it still looked vibrant. I hope your travel experiences are as vivid as these flowers — and that you didn’t forget to throw your camera in a bag. It’s not as if I need more pictures. I still haven’t finished sorting all the ones from New Zealand. Beautiful! Have you a front view of them? I may have in my archives but I’m away from home now. It’s hard to beat the rich red of these wildflowers. Dauntless Dynamic Duo……enjoy your travels. We’re doing our best. On the first three days we’ve had overcast skies, drizzle, and downright rain. As a result we’ve done mostly indoor things, including traveling 800 miles inside our car. We’re now in Kansas City. Beautiful Steve .. it just pops against the black background! It does. This sage often grows beneath “cedar” trees, and it was the shade of those trees that provided the dark background.